Discussion in 'Official Microsoft News' started by Blain Barton, Mar 29, 2017. 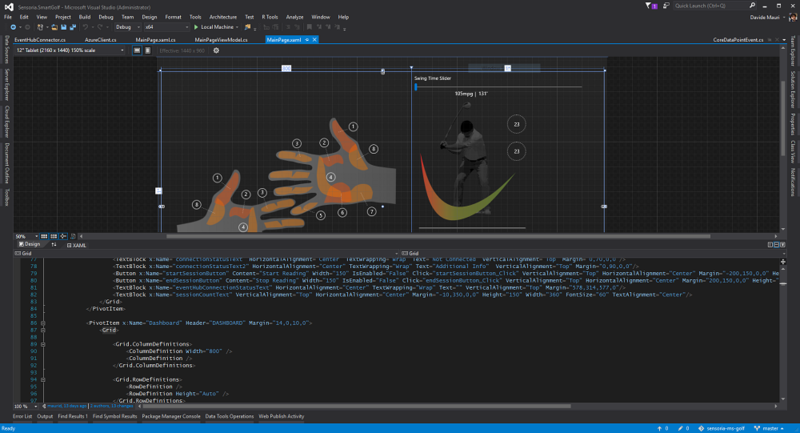 Microsoft technology partner Sensoria, Inc., professional golfer Bryson DeChambeau, the Microsoft Developer and Evangelism team, and other golf partners recently collaborated to build a new high-tech IoT solution involving a smart, connected golf grip. Mike Downey, Principal Evangelist for Microsoft Sports Partnerships, sat down with Bryson early on to find out his important golf needs. Grip pressure was at the top of his list of requests and is an important factor in consistency that isn’t measured by any other company. The “Smart Grip” detects Bryson’s hand-on-grip position and levels of pressure, monitors his golf strokes on different clubs and relays real-time data to Microsoft Azure intelligent systems. The data is then rendered for Bryson on a Microsoft Surface with an elegant Universal Windows Platform Application using XAML and Microsoft Visual Studio. For the whole story go to Microsoft Technical Case Studies.